The gauge defines the cut length of the profile. The gauge allows to the final saw to make a high quality cut in the minimum cycle time, to the desired final length. Its robust structure of welded steel anchored to the ground, guarantees a high reliability of guiding, of the gearmotors and of the pneumatic cylinders, generating a very precise positioning operation. 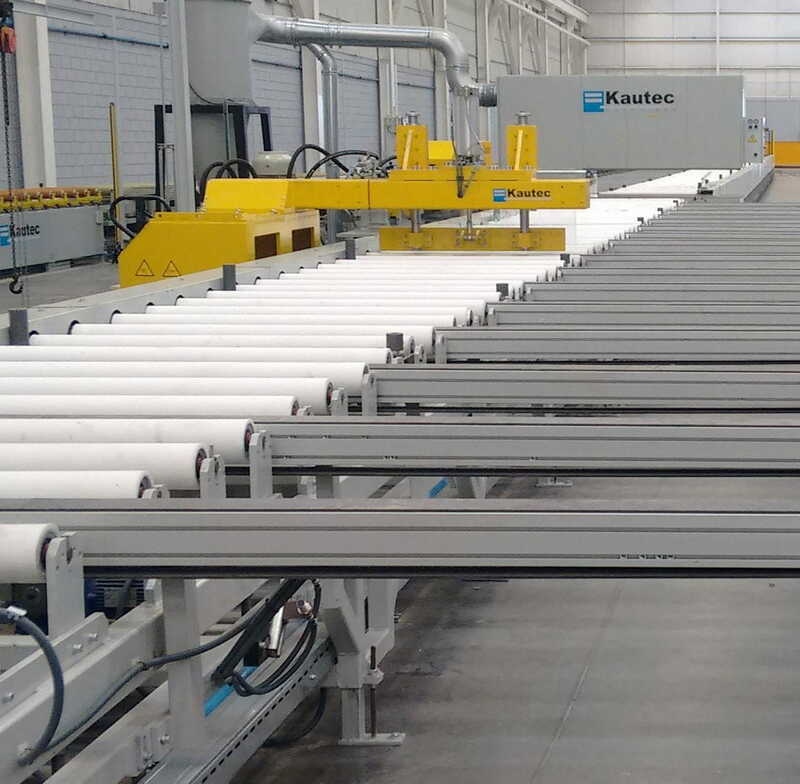 In a new complete plant, the stop is controlled through the control desk, which controls at the same time the rollers, the feeding of the saw, the saw and the subsequent equipment. In case of installation of a cap on an existing line, the control system has to be agreed with the customer, according to the specific requirements of the plant.